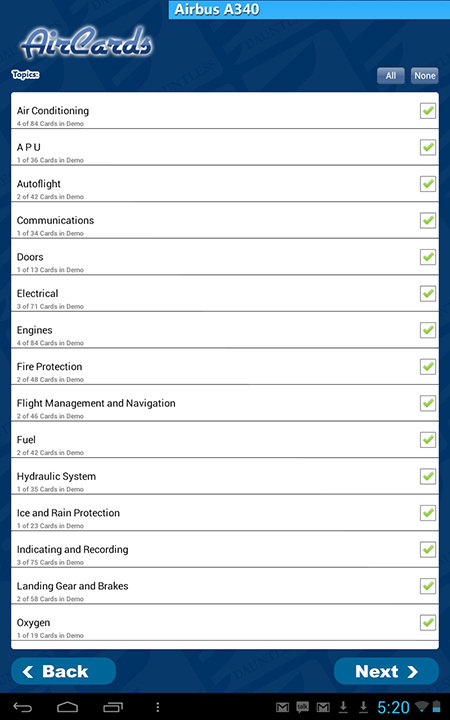 You are welcome to download the AirCards Android app for FREE! 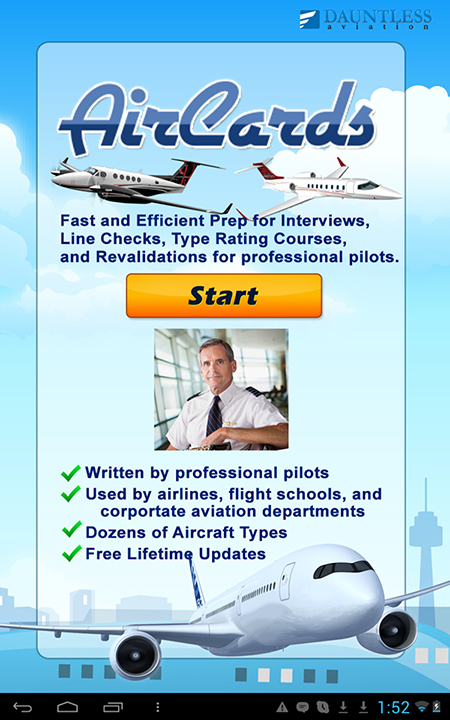 Individual aircraft titles within the free app can be evaluated in demo mode. 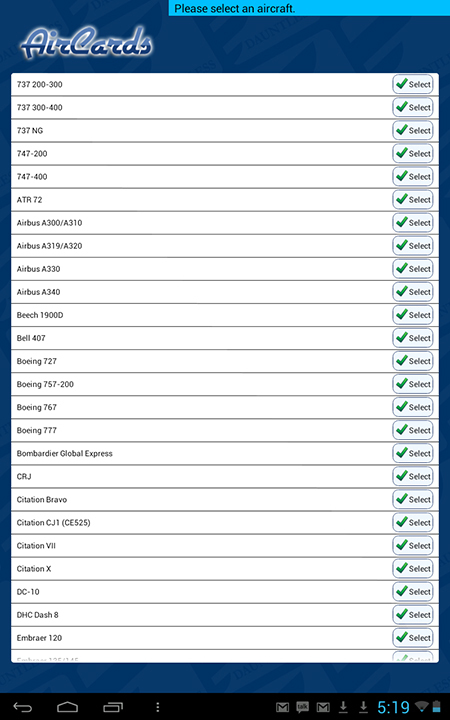 If you'd like to get full-access to a given aircraft in the app, this can be obtained via in-app purchase. Yes! The app works in 'native size' for both smartphones and tablets type devices. Yes! 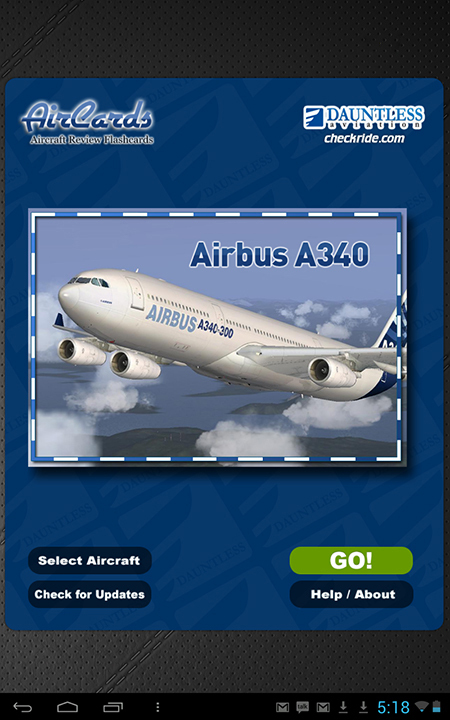 If you have both, you only need to buy any given AirCards aircraft one time to get it on both devices (or even more if you have more), assuming they are both/all linked to the same iTunes AppStore account. Yes! The Android versions feature up to date content and free lifetime updates just like the PC version. It is 100% the same content.